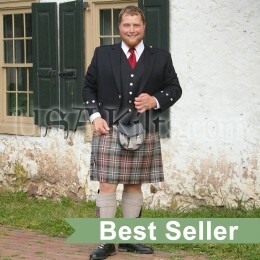 This is our Semi Traditional Kilt made in the Law Enforcement Officers Memorial tartan (Poly Viscose material). - The blue represents the living men and women who currently serve or are retired from Law Enforcement. - The 2 thick black bars represent the men and women who have lost their lives in the line of duty. They also represent the 2 buildings of the World Trade Center (each bar is a tower) and the officers who died there. The 2 black bars contain 36 black threads each, for a total of seventy-two, the number of law enforcement officers who died on 9.11.2001. 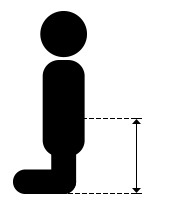 - The dark blue line between the 2 black bars is there to represent the “thin blue line” which is a colloquial term for police officers. It means that Law Enforcement officers are all that stand between citizens and criminals. - The gold and silver stripes represent the badges that officers wear. - The spot where the black stripes cross the silver and gold represents the mourning band that officers wear over their badges when a brother officer dies in the line of duty. - The green stripe is to honor The Police Emerald Societies and the Irish-Americans who made such a large contribution to police work in the early years in the US when few people wanted to do the job. 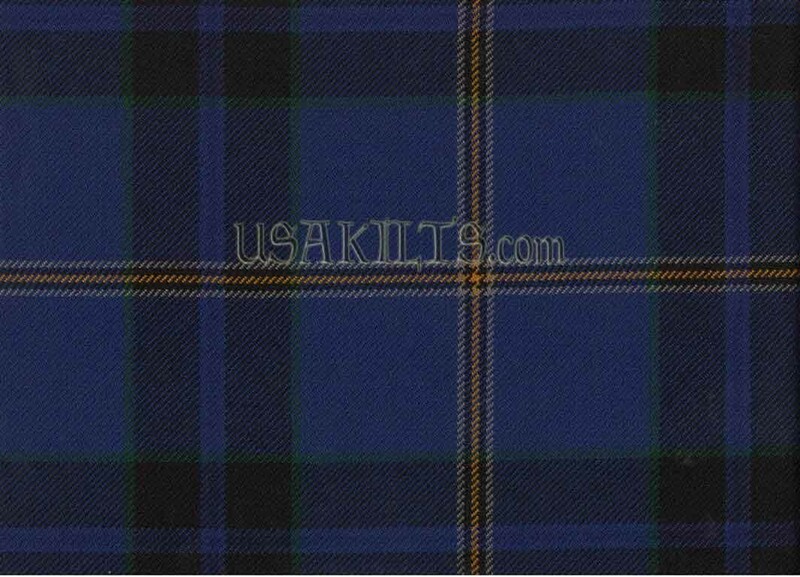 This tartan was designed by: Tim Welch and Rocky (aka William) Roeger, USA Kilts, 2008. The name "Law Enforcement Officers Memorial Tartan" and the tartan pattern itself are both ©2008 by William Roeger, USA Kilts and Tim Welch. In 2008 I visited the crash site of United Airlines Flight 93 in Shanksville Pennsylvania and was touched by all of the things that visitors placed at a makeshift memorial. All were personal items such as signs, fire helmets, toys, pictures, police patches and children’s drawings attached to a fence. One thing that I found particularly interesting was the symbolism displayed on several homemade flags. It was a very moving experience. As a retired police officer, I was aware of the number of law enforcement officers who died in the World Trade Center attacks on 9/11 and I wondered if any officers had perished on any of the high jacked aircraft that day. 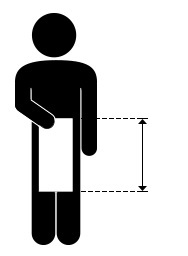 I found out that one did. A passenger on Flight 93 named Richard Guadagno was an officer with the U.S. Fish and Wildlife Service. His name is engraved on the wall of The National Law Enforcement Officers Memorial in Washington DC, along with seventy-one of his fellow officers who died that day at the World Trade Center. A few weeks later a friend showed me the Firefighters Memorial Kilt© that was designed and sewn by Kelly Stewart of USA Kilts & Celtic Traditions. He explained that the lines in the middle of each square of the tartan design were 3 red threads, 4 red threads, and 3 red threads – representing the 343 NYFD firefighters who lost their lives on 9/11/2001. 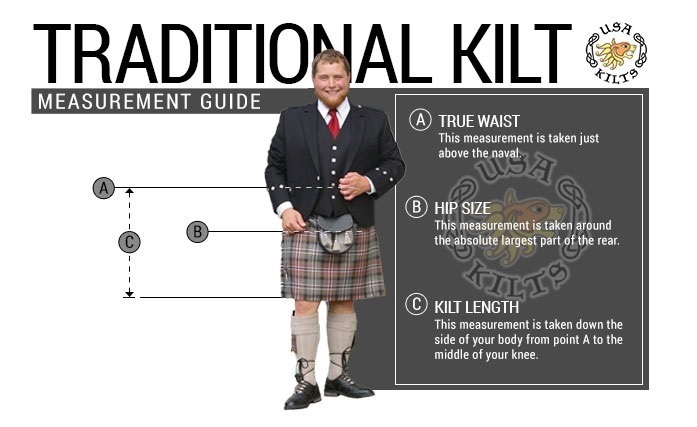 As a snare drummer with a bagpipe band, I have had a lot of experience wearing kilts over the past eight years. 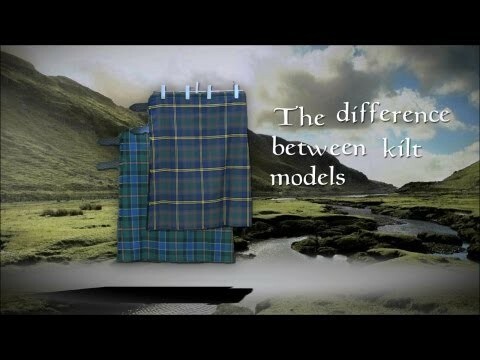 That is when I got the idea for the Law Enforcement Officers Memorial Tartan©. It would honor all of the seventeen thousand nine hundred twelve fallen U.S. law enforcement officers throughout history and incorporate the symbolism that I was so struck with at Shanksville. 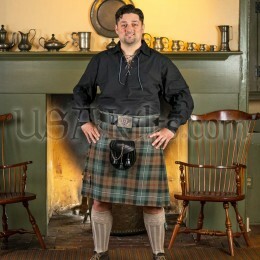 I met with Rocky Roeger of USA Kilts and gave him my ideas for the tartan I wanted to design. He too had considered designing a police memorial tartan to pay homage to law enforcement officers who fell in the line of duty. 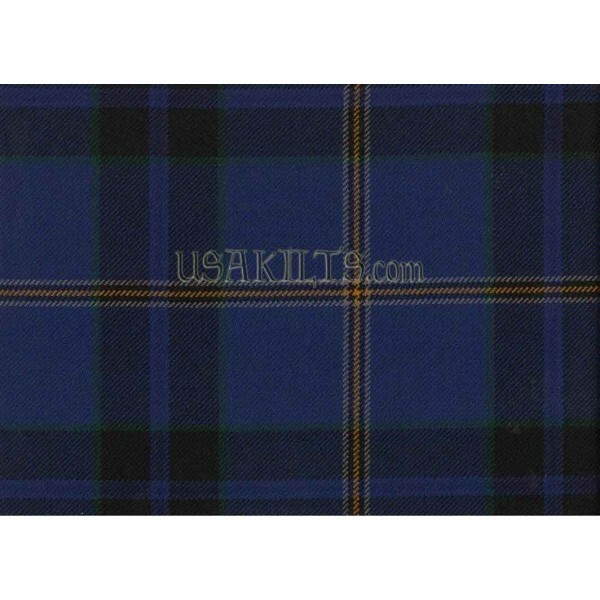 We discussed what this tartan meant to us and decided to team up on the design. 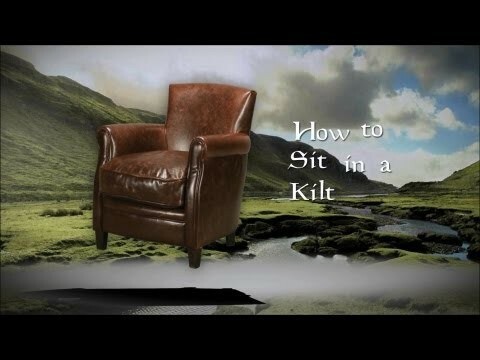 We spoke about the different colors to use and the symbolism that would be incorporated and Rocky designed the tartan that night. 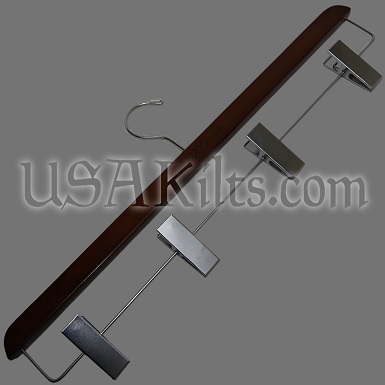 Less than a week later, we had approval from the Scottish Tartans Authority on the name and design. Fifteen percent of all revenues of the Law Enforcement Officers Memorial Tartan will be donated to COPS, Concerns of Police Survivors. They are a certified charity who provide resources to surviving families of law enforcement officers killed in the line of duty. They also help to educate the public about the need to support law enforcement and its survivors. 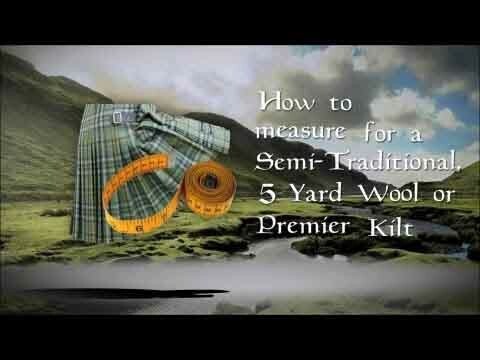 Thank you for your interest in our tartan. I hope this short letter helps to explain why it means so much to us.